Attractions like Perth Zoo and Cottesloe Beach make great kid-friendly stops. Venture out of the city with trips to Caversham Wildlife Park (in Whiteman), Fremantle (Fremantle Prison & Fremantle Markets) and Dolphin & Whale Watching (in Mandurah). 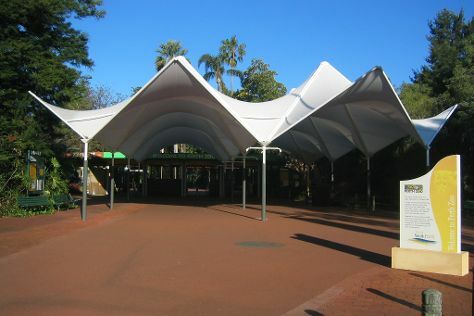 Pack the 1st (Sat) with family-friendly diversions at Adventure World Perth Australia. On the 5th (Wed), give your taste buds a day to remember with a local gastronomic tour. There's lots more to do: walk around Kings Park & Botanic Garden, appreciate the history behind Elizabeth Quay, contemplate the long history of The Perth Mint, and observe the fascinating underwater world at AQWA. For more things to do, reviews, other places to visit, and tourist information, read our Perth trip itinerary builder website . If you are flying in from Malaysia, the closest major airport is Perth International Airport. May in Perth sees daily highs of 25°C and lows of 11°C at night. Wrap up your sightseeing on the 5th (Wed) to allow time to travel back home.